The Hoover company was founded in 1908 and quickly became the first major innovator of vacuum cleaners. 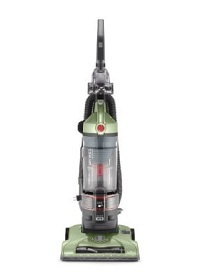 Since then Hoover vacuum cleaners have remained one of the top vacuum brands in the world. Learn about their history, best models and what to expect from a Hoover vacuum if you choose to get one. Read consumer reviews written by other visitors to this site, or submit your own. What is now known as the upright vacuum cleaner started with James Spangler's invention of the suction sweeper in 1907. Household cleaning history was made when he gave one to his cousin, Susan Hoover, wife of William ‘Boss' Hoover. A year after Susan received Spangler's suction sweeper, Hoover partnered with Spangler and together they created the machine that has evolved into the many different types of vacuum cleaners we rely upon so heavily today. Beater bars, which literally beat the dirt out of carpets and rugs paired with a brush that helped guide the loose dirt into the vacuum were introduced in 1926. The beater bar was just the first of many Hoover innovations that set the standard for all other vacuum manufacturers, such as the on board light, the disposable bag and the ability to hold all of the attachments on the housing unit. By the end of the 1930s, Hoover was the largest selling vacuum cleaner in the United States. For more than 100 years, the Hoover name has represented affordable excellence in floor care. 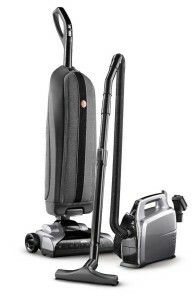 Hoover offers a wide range of floor care equipment – some with bags and some bagless models. 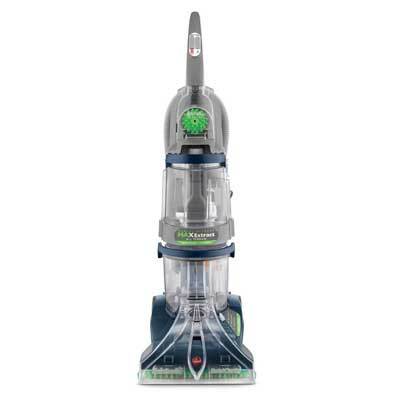 Affordability – With prices ranging from $30 for the handheld Hoover Air Express to $400 for the top of the line Platinum Collection Cyclonic Bagless Cyclonic vacuum, a Hoover vacuum cleaner can easily fit any household budget. Suction Power – The common feature in all categories is the high marks they get for powerful suction, which is, after all, one of the most critical things one looks for when in the market for a new vacuum cleaner. Variety – As a trendsetter in floor care, Hoover is one of the most trusted manufacturers of vacuums, and carpet cleaners. Hoover is almost synonymus with the term upright vacuum cleaner as they’ve been the leader in the upright category for many years. But the company has not rested on their laurels and have been very active also in the canister, stick and handheld types of vacuums in the recent history. Hoover uprights have a strong reputation for getting dirt out of the deepest pile as well as leaving hard floors clean as a whistle. It is this versatility that makes the Hoover upright an excellent choice for the home that has more carpet than hard floors. Hoover upright vacuum cleaners are best known for their exceptional suction power and wide bases, which make cleaning carpets and floors fast and efficient. 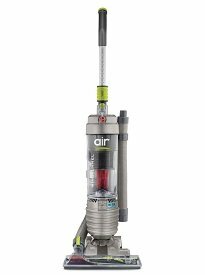 The extra long cords and extension hoses are added features that make it easy to clean floors and high places alike. The canister vacuum moves easily from one room to another in homes that have more hard floor surfaces than carpets or rugs. Each Hoover canister vac is equipped with a stretch hose and a full compliment of accessories that make it possible for the user to get the job done and get it done right. The Hoover lightweight stick vacuum will never replace a regular deep cleaner, but it is excellent for quick pick ups between regular cleanings. Stick vacs are ideal for light jobs, and excellent replacements for the old broom and dust pan. 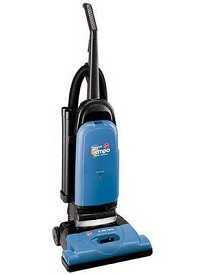 Hoover stick vacs are available in both corded and cordless models. They have a longer than usual battery life, are easy to maneuver, lightweight and powerful enough to clean hard floor surfaces as well as carpets and area rugs. Cordless hand held vacuums are the perfect solution for those little accidents that happen anywhere in the home, garage, workshop or nursery. They are compact and powerful and the perfect companion on a camping trip. The suction power and extended battery life of Hoover handheld vacuums are excellent features to consider when looking for something to get rid of pet hair on upholstered furniture. 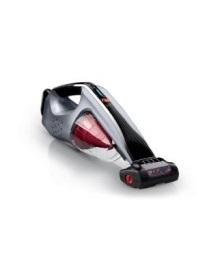 Hoover vacuum cleaners are one of the most popular vacuums based on consumer reviews. Hoover offers a huge variety of vacuums for different needs and that allows almost everyone to find the perfect model for their specific need. 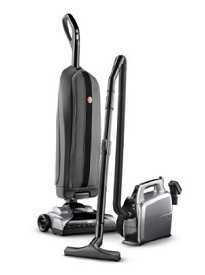 A huge selection of very affordable vacuums. Excellent cleaning capabilities on carpets. After all, Hoover invented the beater bar and they've perfected its effectiveness. 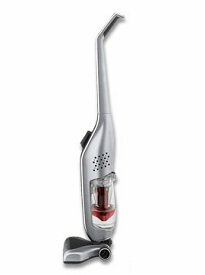 The 'Platinum' line of upright and handheld vacuum cleaners which adds all the bells and whistles available in the 21st century: HEPA filtration, adjustable suction power, lower noise, excellent maneuverability, etc. Low priced models not that durable - need to be repaired often. Most models do not have good air filtration and emit dust particles back in the air. 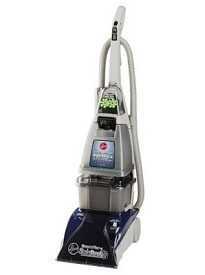 Most upright vacuums do not clean hardflooring that well especially if you have to vacuum bigger particles. Low price, do the simple jobs they're built to do. Easy to use with no complicated controls. The SteamVac carpet cleaners (All Terrain, Dual V Widepath and F5914-900) have all been ranked as Amazon.com best sellers because of their amazing ability to clean spills and stains from carpets and hard flooring. 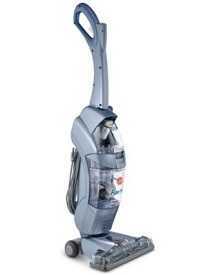 Durability - most Hoover vacuums are built from lower quality plastic. Heavy and not very maneuverable. See just below for a list of Hoover consumer reviews left by visitors to this page, or leave your own. When it comes to Hoover vacuums, you're sure of one thing: you will be able to find the model ideally suited for your needs. While Hoover is traditionally focused on upright vacuums that work best on carpeting, they are also introducing canister models that work great on hard floors. 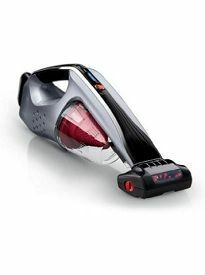 The 'Platinum' series of Hoover vacuums is another step forward and aims to please even the most demanding consumers. Our recommendation is to spend some time researching Hoover vacuum reviews on our site and on popular online retailers like Amazon.com and you'll definitely find the model that was built exactly for your needs. Have you had a Hoover vacuum cleaner? Share your experience with it–your thoughts, frustrations, satisfactions, and more–below and we will publish it on this page for other visitors to benefit from.